provide the perfect look roof for any property style or scheme. Most competitors insist on a rod tie bar at eaves beam level. But not Atlas. 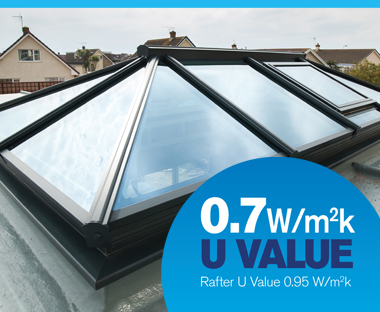 A choice of hidden, rafter or rod tie supports provides the ultimate luxury and flexibility to create the roof you want. Extra strong rafters mean the tie bars can be set higher, guaranteeing excellent headroom and no intrusion into the living area. Even in large buildings the roof structure remains remarkably minimal, creating a sense of clear, free space under the eaves. 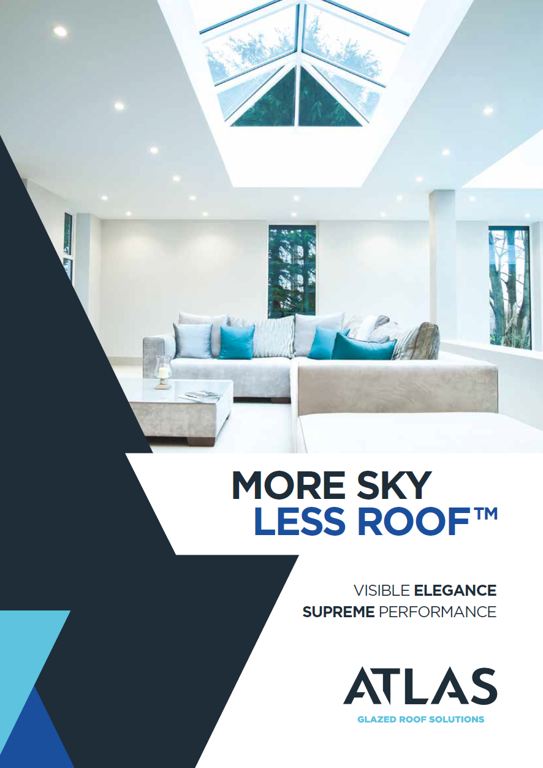 Increased roof strength means the design aesthetics and clear sightlines achievable using the slim Atlas profiles remain unmatched by any other manufacturer, creating a roof that can suit any dwelling. 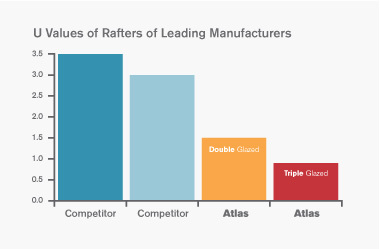 Using the benefits of slimline technology Atlas have combined good looks, outstanding strength and intelligent detailing, to create one of the finest looking products available for conservatory and orangery installations.